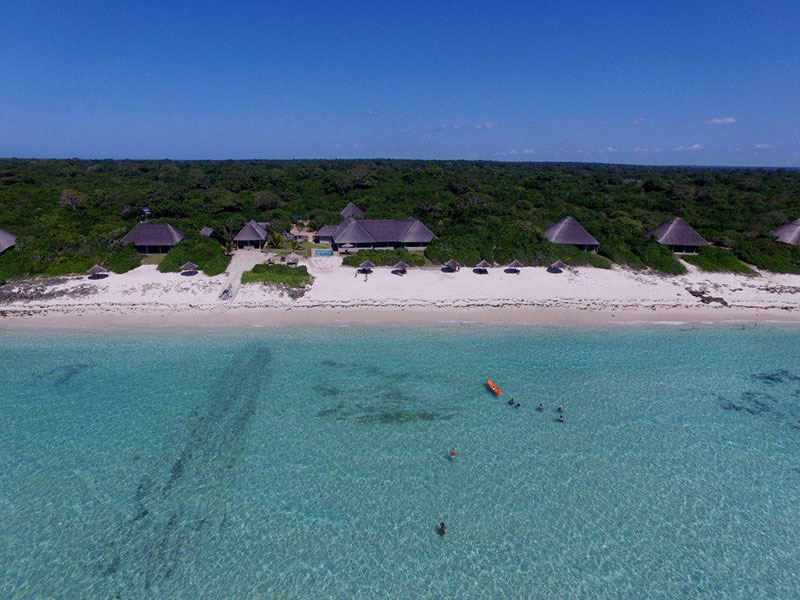 A tropical paradise situated on a secluded beach at the entrance of Nacala Bay, Northern Mozambique. Divers and snorkelers will be delighted with the incredible underwater sightings! 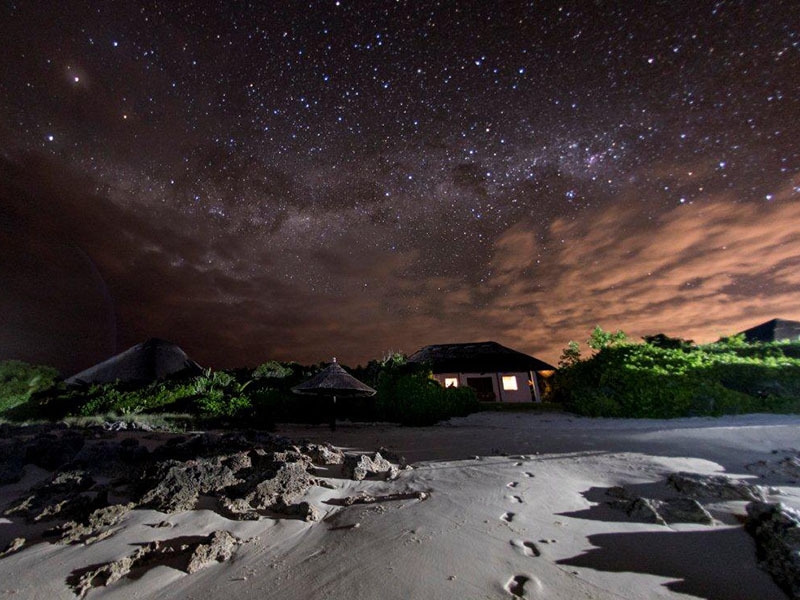 Explore the north of Mozambique where few people venture and discover a world of wonder and wildness. 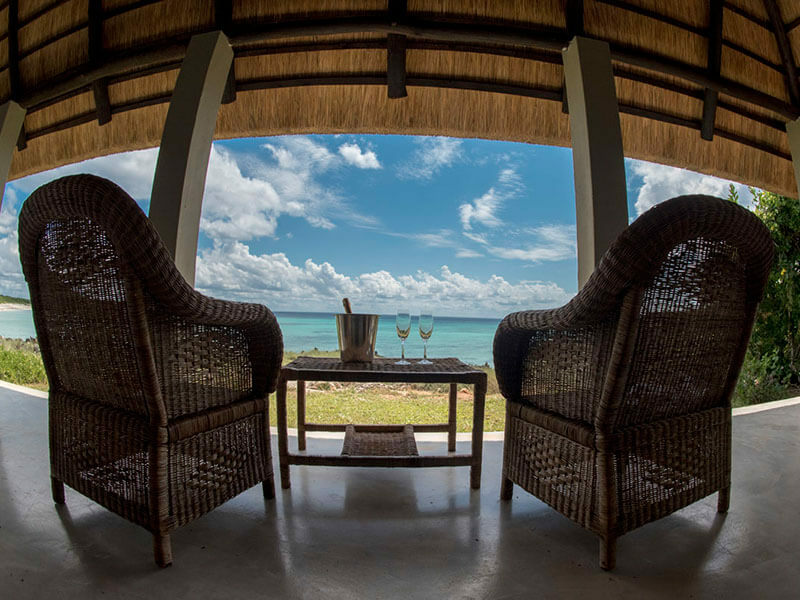 Choose Ossimba Beach Lodge right on the edge of Nacala Bay where awesome views of a private beach compliment the indigenous forest setting enhanced by majestic Baobab trees. 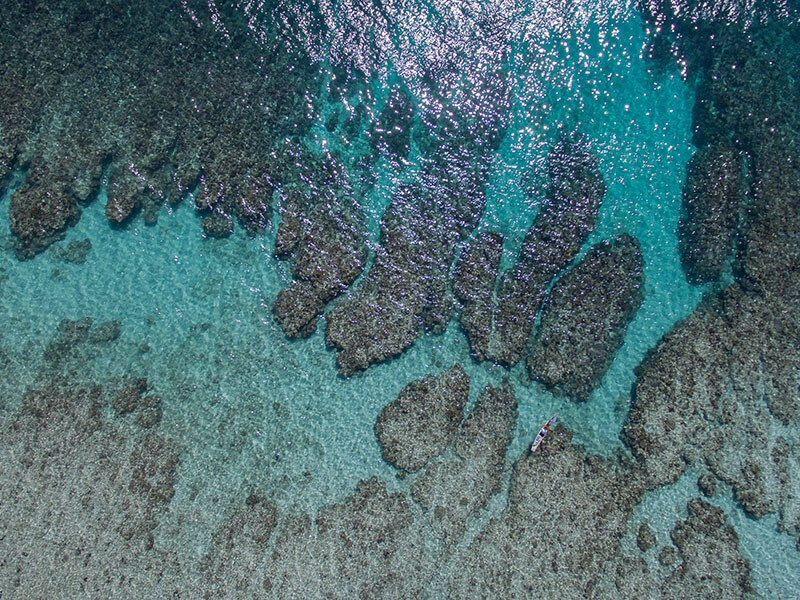 Imagine enjoying your own bit of white beach within a proclaimed marine reserve where stunning coral reefs invite you to dive to your heart’s content? 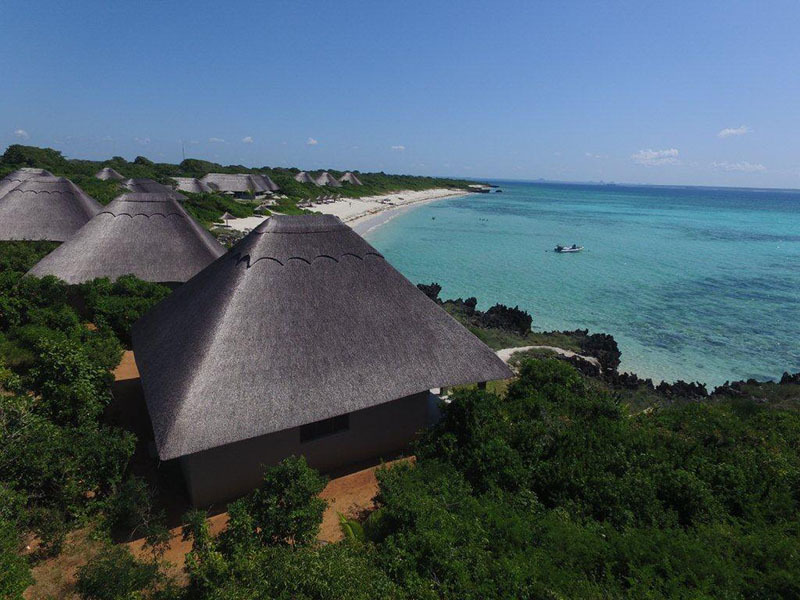 Mozambique Travel will tailor make your holiday package to Ossimba Beach Lodge, a fresh experience. 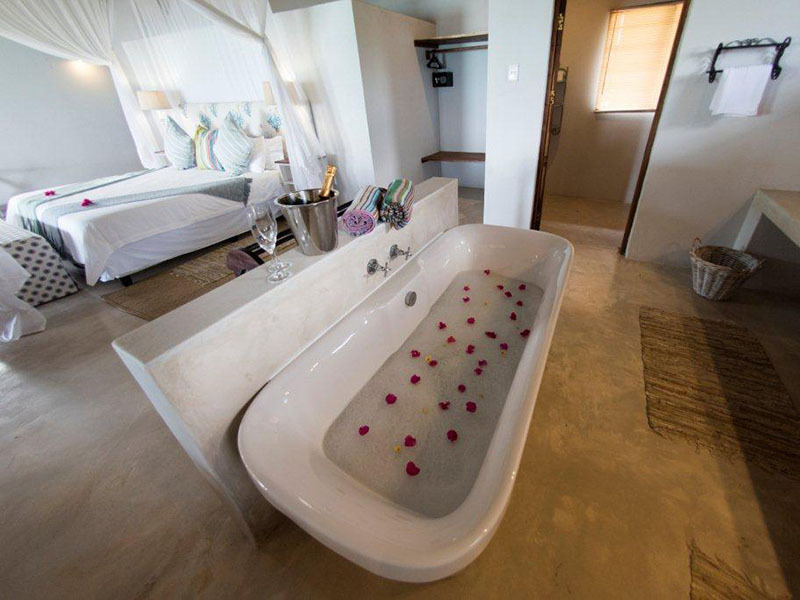 As one of the new eco-lodges, Ossimba uses only solar energy and has its own drinkable bore-hole water. 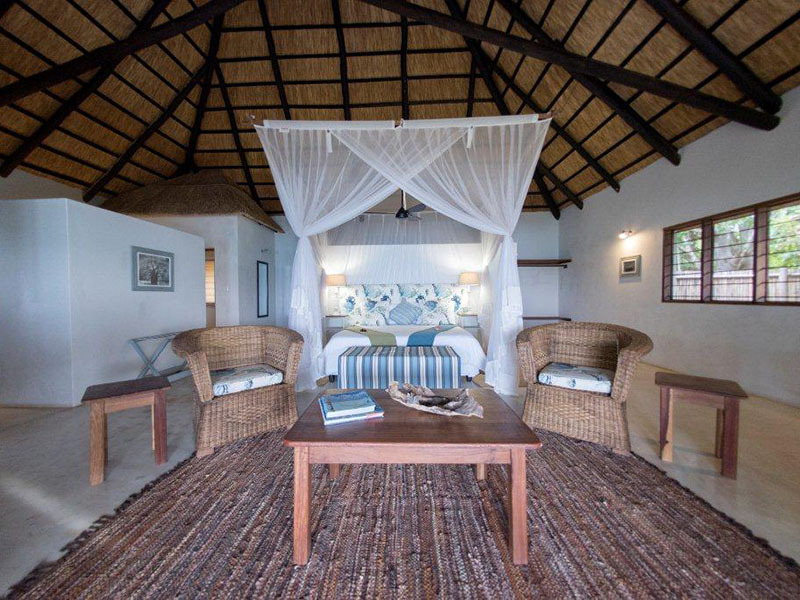 Stay in one of 8 sturdy brick chalets with thatched roofs, plenty of space and scattered along the seashore ensuring your privacy and tranquillity. Walk to the beach every morning for your wake-up swim, then meet friends in the central lounge – bar – dining areas for coffee and breakfast. Later, the indigenous forest is all yours as you go birding and hiking into a wilderness so typical of northern Mozambique. Ossimba Lodge is a safe place to holiday, offering 24-hour security and a sense of solitude. 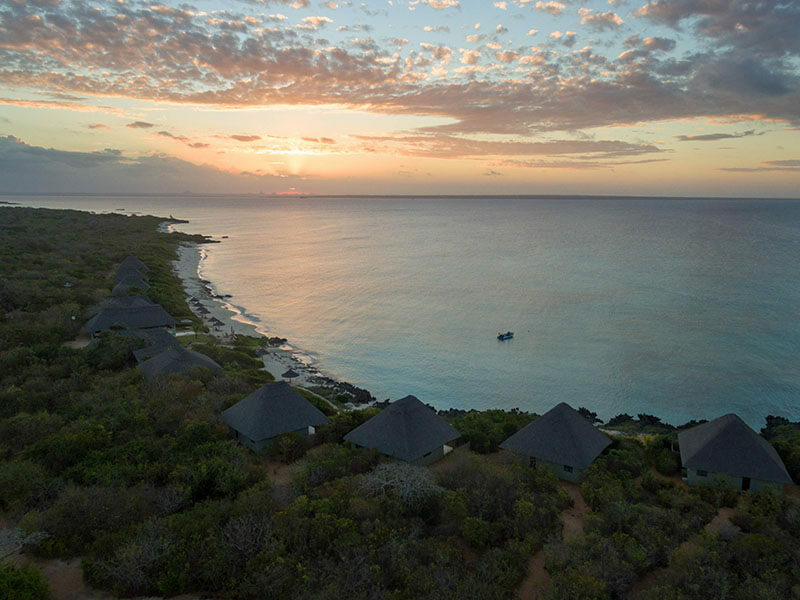 Revel in the luxury of king size beds, mosquito nets, fans, safes, en-suite bathrooms with showers both inside and outside, and beautiful views of the breath-taking ocean. The modern lounge-dining area and bar offer television and Wi-Fi and the swimming pool and Sunset Bar ensure long afternoons in the sun relaxing on holiday the Mozambique way. Enjoy mountain vistas and watching the tide ebb and flow. Tuck into mouth-watering cuisine made by a talented chef whose ingredients come straight from the ocean and the land. A unique blend of Mozambican and international flavors keeps you coming back for more. There is so much to do in the great, stunning outdoors of beach and sea, mountains and forests. Deep sea diving is a must at Ossimba Beach Lodge where fantastic wrecks and other fascinating dive sites attract beginner and pro divers to explore these untouched depths. Expert instructors kit you out with your wetsuit, weight belt, fins, snorkel and mask, the 6 full sets of Scuba-pro equipment ideal for all kinds of dives. Jump aboard the slick semi-inflatable dive boat for 12 people and hit the ocean for an experience you will never forget! From seeing exquisite corals and colorful fish to breaching whales in season, snorkeling close to dolphins and kayaking through magically preserved mangrove swamps, this is the kind of holiday families will love. Try some trendy Stand up Paddle Boarding when the wind is on your side or learn how to spear fish for pelagic species on a sunny day. Many adventurous resorts visitors to Ossimba Beach Lodge prefer the cultural side of things and enjoy village visits to chat to local Mozambicans. Or take a boat cruise to Ilha de Mocambique where incredible history is reflected in the architecture, museums and other attractions. Stop at one of the several restaurants in Nacala Bay then end your day with a sunset boat cruise, the quiet lapping of the ocean your music. SA Airlink from OR Tambo, Johannesburg, South Africa direct to Nampula. Currently flight leaves 11h10 seven days a week. Flight time 2h30 mins. Transfer via taxi to Ossimba is three hours . Please enquire for the latest price. New Nacala International airport is due to open soon. Currently serviced by L.A.M. Airlines from Maputo three times per week. Flights from OR Tambo to Maputo link with the flight to Nacala. Transfers to Ossimba free (35mins).